The Northeastern University Ranking is 292nd in the world on the University Review College Ranking List. It is ranked as the joint 42nd best college in the states by the USnews, and the 209th best by Forbes. 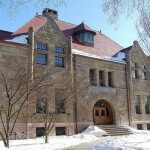 US colleges with similar world rankings to Northeastern include the University of Oklahoma, Oregon State University, Clemson, and Wayne State. As a private institution the Northeastern University tuition fees are $43,440 for both in and out of state students. It is a very selective college accepting 32.3% of applicants. Financial aid offered totals $204 million per year, at an average of $24,100 per student. SAT scores for Northeastern University admission requirements (25th-75th percentile) are Math 640 – 730, Reading 610 – 700, and writing 600 – 700. The total composite SAT range for accepted applicants is 1300 to 1480. The requirements for ACT (25th-75th percentile) at Composite are 30 to 33. Northeastern University, also known as NEU or NU, is a private university in Massachusetts. It was first founded in 1898 to offer young men course work and classes during the evening. It opened it’s doors to Boston inhabitants on the 3rd of October 1898. 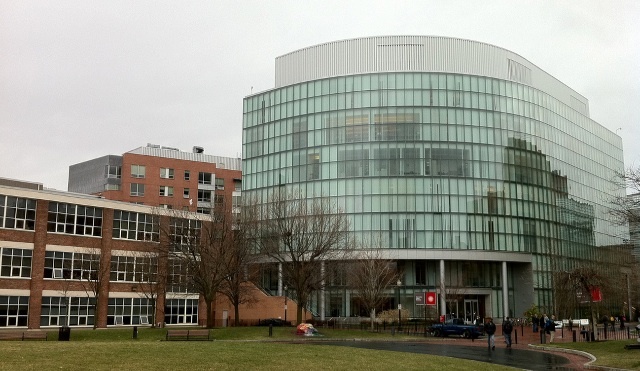 Photograph of Northeastern University by Chris Tengi. After only a few years after it’s inception, the university expanded by offering degrees in finance, engineering and law. It moved to Huntington Avenue three years later and started holding day classes in 1909. In 1916, it gained stature as a college and changed its name to the Northeastern University of the Boston Young Men’s Christian Association in 1922. The university opened its College of Liberal Arts in 1935 and shortened its name to Northeastern University two years later. After the end of The Great Depression, the university opened its doors to female students, and due to the influx of returnees from the war, it also opened its Colleges of Education, Pharmacy, Nursing, and the University College in the years 1953, 1954 and 1960. It opened its Criminal Justice college in 1967 and its Computer Science college in 1982. The Northeastern University, Boston, MA has over 125 programs spread throughout its 65 departments, which are segregated into Colleges. 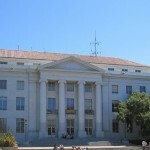 The university’s different colleges include the Bouvé College of Health Sciences (which contains the schools of Pharmacy, Nursing and Health Professions); the College of Arts and Sciences (which is comprised of the schools of Journalism, Architecture and Social Science, Urban Affairs and Public Policy); College of Business Administration, (which houses the graduate school of Business Administration); College of Computer and Information Science; College of Criminal Justice; College of Engineering (where the graduate school of Engineering and the school of Engineering Technology are found); School of Law; College of Professional Studies; and the School of Technological Entrepreneurship. Northeastern University also has several distinguished institutes under its name. Some of these are the Bernard M. Gordon Center for Subsurface Sensing and Imaging Systems, Center for Urban Environmental Studies, and the National Education and Research Center for Outcomes Assessment in Healthcare. Other colleges in Massachusetts state include Harvard, Boston College, University of Massachusetts Medical School, Brandeis, University of Massachusetts Amherst, Tufts University, Massachusetts Institute of Technology, and Boston University. Motto: Lux, Veritas, Virtus; Light, Truth, Courage.